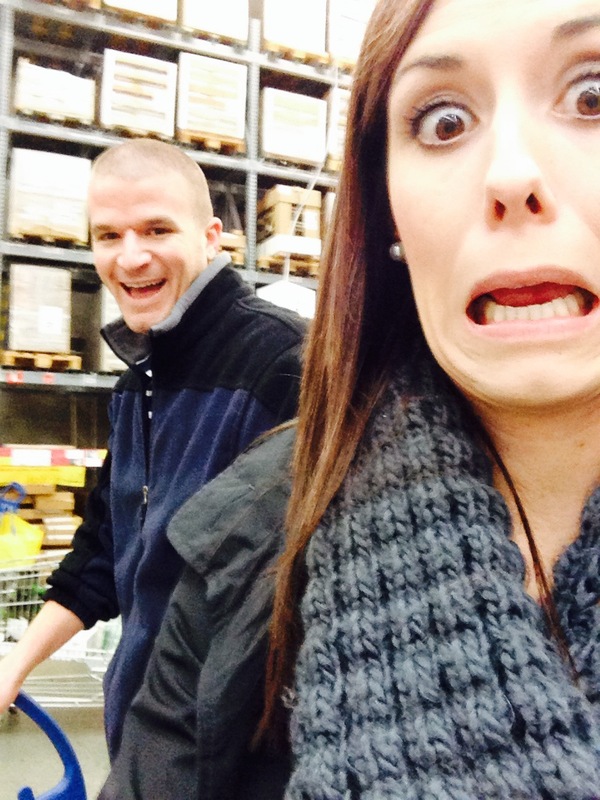 About a week ago, I had the pleasure of going to IKEA with my husband. I’ve done IKEA a million times. I don’t go through the showroom area, I come with a list of exactly what I need and cut through the checkout line section directly to the shopping area. Believe it or not, I can get in and out of there in under 20 min. IF the checkout lines move quickly. This was not the case on this particular visit. I had my list and I knew exactly what I wanted but when I started to cut through the checkout area, Jason was like, wait! why are we going THAT way? Let’s go this way. So, on this visit I had a drink in the cafeteria, sat on some sofas, checked out the finish on different entertainment centers, felt some of the rugs, and even played with some of the toys in the children’s department. I think we were there for 2 hours…. Even though I would’ve been happy to avoid the entire upstairs all together, I was glad I didn’t. IKEA has some great stuff. And it’s not like I don’t know that, but seeing it in person rather than online is always a good refresher. Now don’t get me wrong, IKEA isn’t always quality, but it’s like Target, you still love it because it’s fun…and sometimes fun beats out quality because it’s not necessarily junk either. While we were in the kids section, I spotted this great mobile that is actually a new item. 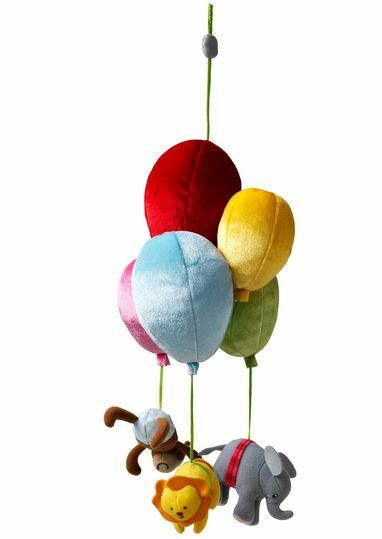 It’s adorable!…the balloons and little animals. You can’t go wrong! Plus, it’s only like $10! Thank you, IKEA! 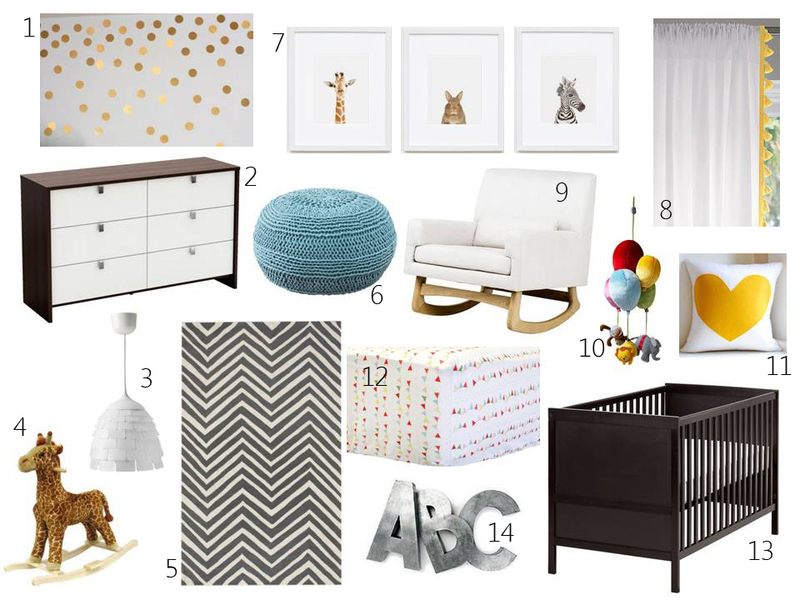 It totally inspired me to design a fun gender-neutral nursery to share with you and see if you were inspired as much as I was. What do you think?! Some of the items I used for the design are from IKEA but the rest vary. I love it! Gifts and Facelifts| The Blog is Back! I know you all thought this blog was dead and gone…and to be honest, it almost was. Without going into too much detail, life just got in the way and my little Everyday Clever took a back burner…for about a year. Since then, I’ve made some major progress in my design career and am working for a local design firm doing interior design–what I love! While I loved Everyday Clever, I decided that the look of it might be a little dated and that it was time for a facelift….which is why the logo and name is different now. Welcome to Bungalow! Bungalow is really just a fresh look at all of those “everyday clever” ideas I used to post about and maybe a few new ones too. We’re still doing design on budget here and we still love being creative! If you’re reading this, I’m so glad you stuck around (or maybe just forgot that you subscribed to the blog and this popped up in your email. ha!…lucky me). I hope you’ll bear with me as I try to get everything moving again. Since it’s already December (whaaaat?! 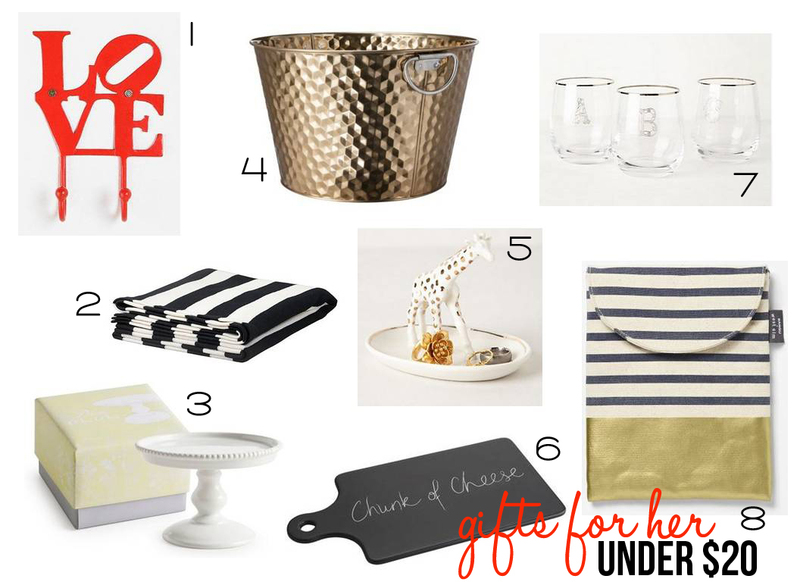 ), I’ve put together a fun little Under $20 Holiday Gift Guide for your girl. See! What’d I tell ya?! Affordable. Fo realz.